China's interests in Zambia are very much dependent on the infrastructure of the country: The G20 summit in Seoul placed infrastructure development squarely on the international agenda. In When China Met Africa, a 2010 documentary lm about China’s interests in Zambia, a Chinese interviewee highlighted the importance of infrastructure by comparing a country’s roads to the veins of a body, and the need for the transportation of goods across a region to the need for blood to be carried to different organs. His comment (perhaps unknowingly) reflected concerns that were being expressed at a higher level that year, when the G20 summit in Seoul placed infrastructure development squarely on the international agenda, acknowledging that gaps in infrastructure had to be addressed in order to increase and maintain growth in developing countries. Africa's rapid economic growth between 2011 and 2015 brought relatively small improvements in human development, and one of the identified barriers to development has been a lack of enabling infrastructure. Africa's current infrastructure deficit is estimated at approximately US$ 90 billion for the next decade, with only half of that amount currently being funded. One obvious potential solution to the shortage of public funds for infrastructure development would be to harness private investment through the use of public-private partnerships (PPPs). While governments and multilateral development-finance institutions such as the World Bank have indeed earmarked PPPs for this purpose, they are not without their problems. These include the prioritisation of private commercial interests over public interests, lack of public consultation and participation, lack of access for the poor, and an overarching concern that PPPs offer no real economic benefits. Proponents argue that the model has two advantages: funding and efficiency. Although a PPP would not necessarily cost less than its public alternative, private partners have immediate access to funds, which may not be the case with public budget cycles. Private involvement has also been credited with efficiency gains in such sectors as transport, energy and water distribution – although it should be added that these were mainly in developed countries like the US and the UK, with well-developed programmes and capacity. In less developed regions, the success rate of PPPs remains unclear. Their ability to address infrastructure gaps that affect the poor has been particularly criticised. A recent evaluation of PPPs supported by the International Finance Corporation (IFC) states that, while general access to infrastructure and social services was improved by PPPs from 2002 to 2012, “the extent to which PPPs benefited the poor cannot be assessed in a systemic manner, as large data gaps exist”. The lack of concrete evidence, combined with the fact that most African countries are in relatively early phases of setting up formalised PPP programmes, makes it very difficult to assess whether or not PPPs are the right way to go to improve infrastructure and access to social services in Africa. Negative reports of PPPs in developing regions did not deter African leaders from prioritising infrastructure spending, particularly through the development of PPP programmes. The Programme for Infrastructure Development in Africa (PIDA), probably the region’s most comprehensive infrastructure vision to date, was a collaborative effort of the African Development Bank (AfDB), the African Union Commission (AUC), the New Partnership for Africa’s Development (NEPAD) and the UN Economic Commission for Africa (UNECA). PIDA is a successor to the NEPAD Medium to Long Term Strategic Framework, and serves as a strategic framework for the development of regional and continental infrastructure. PIDA aims to develop cross-border infrastructure that would increase regional infrastructure integration, promote socio-economic development, and reduce poverty and inequality. The 51 programmes identified under the PIDA Priority Action Plan are spread across four sectors – energy, transport, information and communication technology, and crossborder water. In addition, the PIDA Infrastructure Project Preparation Facility (IPPF) was set up in 2005 to mobilise public and private funds for PIDA programmes. Of course, a plan doesn’t mean much without an appropriate implementation mechanism. As with most other regional or international initiatives, success relies very heavily on the cooperation and leadership of national governments. With this in mind, the Presidential Infrastructure Champions Initiative (PICI) was created to push African leaders to champion and accelerate infrastructure development under PIDA. The role of the infrastructure champions is to bring visibility to the projects, unblock bottlenecks, coordinate resource mobilisation, and ensure project implementation. The initial aim of PICI was to implement priority projects within five years (by 2015), although the benchmark for progress was set very low: “implementation” is defined as “the advancement of the project from pre-feasibility to feasibility phase, or from feasibility to construction, or simply that demonstrable evidence of progress is available”. A number of additional efforts to facilitate the implementation of PIDA programmes have emerged in recent years. The PIDA Service Delivery Mechanism was established in 2014, with the aim to address early-stage project preparation at the national and regional levels through the provision of technical assistance. The NEPAD Renewable Energy Initiative was set up to drive projects focusing on renewable energy to viability and financial close. 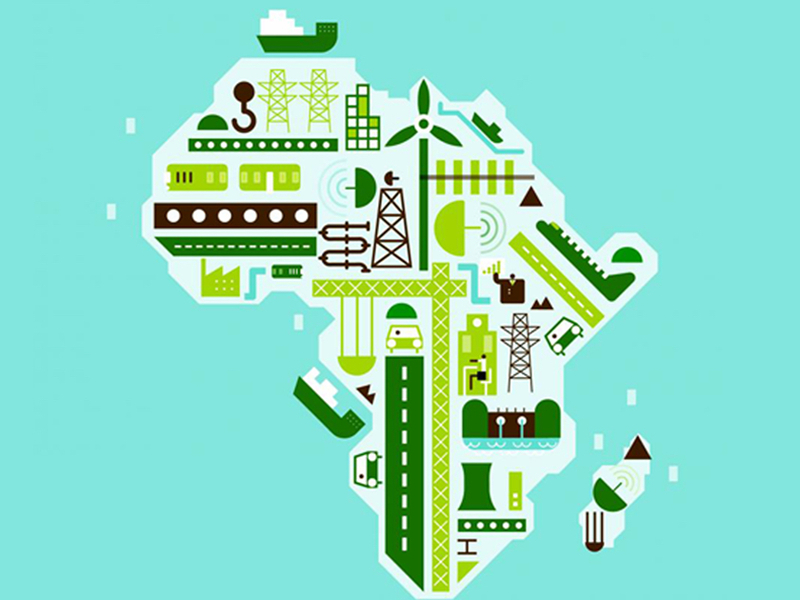 The Continental Business Network and Move-Africa were launched by NEPAD to increase the involvement of the private sector in infrastructure development in Africa. The Dakar Financing Summit also identified the need for better harmonisation among all the different initiatives, which eventually led to the conceptualisation of the African Centre of Excellence for Infrastructure Regulation (ACEIR). The ACEIR will function as an interdisciplinary regional body focused on infrastructure development and management, drawing expertise from researchers in engineering, economics, political science, public administration, and law across the globe. The social implications of PPPs, and perhaps infrastructure development more broadly, are mainly considered in the contexts of access and affordability. These two considerations are particularly relevant in Africa, due to the high rates of poverty and inequality. Access to infrastructure is directly linked to the access and enjoyment of human rights – for example, roads and transportation provide access to schools, medical clinics, and a number of other basic needs and services that underpin human rights, human dignity, and development. Similarly, access to quality water plays an important role in the fulfilment of a number of other rights, including the right to a safe environment. Private investment, although relatively small compared to the rest of the world, has played a significant role in reducing the infrastructure access gap in sub-Saharan Africa. Nonetheless, access means very little if it is not affordable, and there are often concerns about pricing levels and structures in PPPs. Commercial project developers are not always trained to think about access in the context of high levels of poverty and inequality. The low level of transparency associated with PPPs, which leads to limited public scrutiny and participation, is another source of criticism pertinent to social impact. The Organisation for Economic Cooperation and Development (OECD), in its principles for governance of PPP projects, acknowledges the need to consult with stakeholders and end-users. Experience also shows that principles that are well known in the human rights community, such as free, prior and informed consent (FPIC), are not adequately applied in PPP engagements with indigenous peoples. Finally, because the need for access to information goes hand in hand with transparency and public participation, it is crucial that governments enact access to information legislation and procedures that are responsive to complex blendednance projects. Masses of information that could be of interest to the public is produced and should be accessible. Against this backdrop, and considering all the developments of recent years, the fundamental question is this: Do these African initiatives adequately consider the social implications of using PPPs to drive infrastructure development? While the answer to this question will not be straightforward, including some basic human rights principles could make a significant difference in how we think about PPPs and how they could be used to reach the overarching goal of alleviating poverty. As stated by the United Nations Office of the High Commissioner for Human Rights (OHCHR), “no social phenomenon is as comprehensive in its assault on human rights as poverty”, and that this understanding “leads to more adequate responses to the many facets of poverty, responses that do not trample on rights in the pursuit of growth and development”. Including an explicit human rights approach in regional and domestic regulatory frameworks for PPPs in Africa could benefit project conceptualisation and implementation in three important ways. Firstly, by avoiding harmful impacts that large-scale infrastructure may have on surrounding communities; secondly, by making sure that projects with a direct link to human rights fulfilment (for example, access to water and access to education) are indeed designed and implemented with this goal in mind; and thirdly, by inculcating key human rights principles such as free, prior and informed consent (FPIC) in different phases of the project lifecycle. Since the political dynamics of a country also play an important role, it should be noted that PPP regulation is concerned not only with private industry and service providers, but also with the political environment. A recent evaluation of PPP environments in 15 African countries identified several barriers to successful implementation at the national level. This study by the Economist came up with several key findings, including the vital necessity of harmonising PPP strategies and practices between ministries and between national and sub-national levels. Another identified problem is that, while the rationale behind PPPs is to harness the potential of private money, most African countries rely on external financing due to insufficient local financial markets. The study also highlighted the need for broader stakeholder engagement and education, as there are negative perceptions of privatisation that date back to the colonial era. Other issues include the need to understand the pros and cons of centralised PPP units, the need to expedite PPP process development, and the importance of understanding the implications for public finances. Each of these barriers also needs to be evaluated from a human rights perspective. The regulation of PPPs has been described as “a molten mass of public and private, domestic, foreign and international law”, and an effective regulatory framework needs to provide guidance at all these different levels of authority. It is highly recommended that initiatives like the ones being driven by the AfDB, NEPAD, the AUC and the World Bank include an explicit human rights focus when creating regulatory frameworks at the regional, national and sub-national levels for Africa. Currently, this does not seem to be the case. Stakeholder engagement should include civil society groups working on the human rights aspects and implications of infrastructure, as well as practitioners who are sensitive to and knowledgeable about human rights. It is only with these considerations that PPP-driven infrastructure development in Africa will be inclusive, sustainable, and meet the needs of the people, bringing us one step closer to poverty alleviation. In December 2016, when it officially took over the G20 presidency, Germany announced the “Compact with Africa”, a framework to promote private investment, economic growth and sustainability, and investment in infrastructure. While this announcement was met with a broad range of reactions, it remains unclear to what extent this commitment will consider and integrate regional initiatives, as well as the social and human rights impacts of such development. It is crucial to adopt an approach that takes account of the implications of each proposed project, to ensure that Africa gets the veins it so desperately needs to supply the lifeblood of trade throughout the organs of the continent. This article was published in the publication Perspectives Africa #2/2017: "Putting People Back Into Infrastructure". For more information about this documentary, see the oficial website, (accessed 31 March 2017). Apart from Mauritius, there is still not a single Sub-Saharan African country in the 'High Human Development' category of the United Nations Human Development, (accessed 2 April 2017). ‘Evaluating the Environment for Public-Private Partnerships in Africa: The 2015 Infrascope’,The Economist Intelligence Unit. The AfDB estimates it at 93 billion US$, see The Economist Intelligence Unit publication above ; See also the ‘Planning to Deliver’ report published by Ernst&Young in December 2013, (accessed 3 April 2017). ‘Why public-private partnerships don’t work: The many advantages of the public alternative’ by David Hall, PSI, (accessed 31 March 2017); See also ‘What lies beneath? A critical assessment of PPPs and their impact on sustainable development’ by Maria Romero, Eurodad, (accessed 31 March 2017). See ‘The Economics of Public-Private Partnerships: A Basic Guide’ by Eduardo Engel, Ronald D. Fischer, and Alexander Galetovic, 23–60, and 154–161. World Bank Group: World Bank Group Support to Public-Private Partnerships: Lessons from experiences in client countries, FY02-12, p 68; (accessed 31 March 2017). The Impact of Private Participation in Infrastructure in developing countries:Taking stock of about 20 years of experience’, Antonio Estache and Caroline Philippe, November 2012. Office of the United Nations High Commissioner for Human Rights (OHCHR): Human rights dimensions of poverty; (accessed 25 May 2017). See  The Economist Intelligence Unit. Michael Likosky ‘The privatisation of violence’ in Simon Chesterman & Angelina Fisher ‘Private Security, Public Order: The Outsourcing of Public Services and Its Limits’, Oxford, 2009, 16. In 2016, the World Bank released the Framework for Disclosure in PPP projects, and the Open Contracting Data Standard (OCDS). A follow-up tool, called the OCDS PPP Extension will be launched mid-2017. With transparency and accountability as its objectives, these tools and frameworks describe enabling environments for PPP disclosure, and what data should be disclosed during the lifecycle of a PPP. In 2017, Africa has gained unusual prominence – within and beyond the framework of the German G20 presidency. This web dossier analyses possibilities for democratic participation, the role of human and environmental rights, and economic transformation. Three months after the ground-breaking ceremony for a superhighway in Nigeria’s Cross River State the opposition grew. People were wary of not being compensated for losing their land.